Smithville bed and breakfast travel guide for romantic, historic and adventure b&b's. 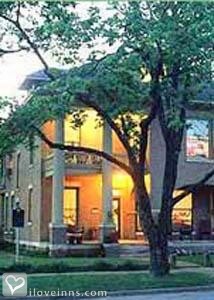 Browse through the iLoveInns.com database of Smithville, Texas bed and breakfasts and country inns to find detailed listings that include room rates, special deals and area activities. You can click on the 'check rates and availability' button to contact the innkeeper. Smithville grew to a town around the river and the MKT railroad complex in the 1870s and '80s. Today, century-old oaks and pecans shade beautifully restored homes and churches, and downtown Smithville is famous for antiques. The town was the site recently of the movie "Hope Floats," which featured the town's annual Festival of Lights. By Katy House Bed & Breakfast.